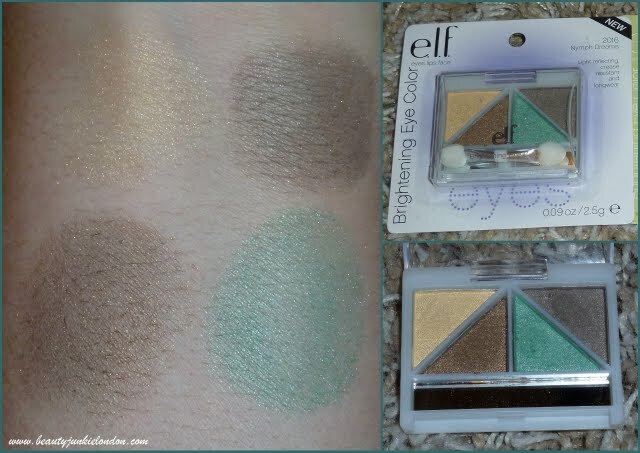 I have to start this post by saying these eye shadow quads cost only £1.50. Yup, one pound and fifty pence for four eye shadows in a quad. I was having a bit of a play with these at the weekend and decided to try a couple of colourful eyeshadow looks – not something I do very often. I picked the two quads that are furthest from my usual neutrals to try out a bit of colour. I’m no expert when it comes to eyeshadow or colour at all – these ‘looks’ were created with just the shadows and blended with my fingers rather than brushes. For all three quads the colour pay off isn’t amazing, but definitely not bad for £1.50 (that’s 37p a shadow…) the colours with a bit of shimmer are easier to use than the matte shades or the ones with glitter. The rose-gold shade in the top right of the Glam is the biggest let down with poor colour pay off and loaded with glitter – if you like glitter, then fine – but it’s not my thing. The white from the Punk Funk is also a little bit disappointing as the pay off isn’t great, but texture wise it’s OK – so you can build it up to create a subtle sheen (it’s a pearly white). 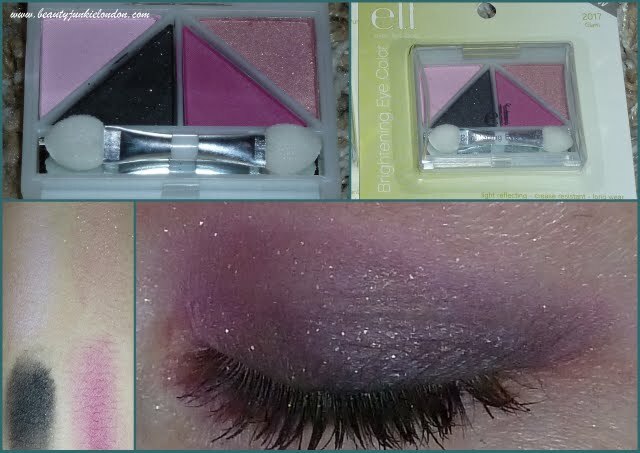 My overall view of these eye shadows? They are (like most of the e.l.f. products) amazing value for money. No, they won’t compete with the quality of higher priced shadows, but for the amazing price of £1.50 then you really can’t complain. For make-up on a budget then definitely check these out. I’m a huge fan of elf, cannot think they can be beaten for value for money at all. 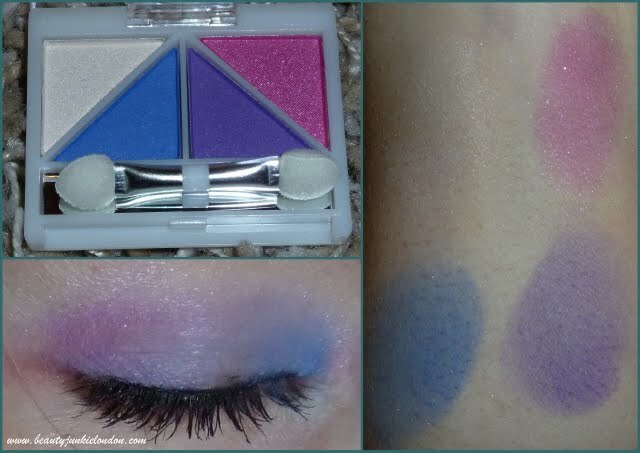 The purple/blue quad looks nice… you could create some really lovely makeup looks with it!